Morey Boogie released a pair of mid-range boards called the Pro/Am and the Stingray. 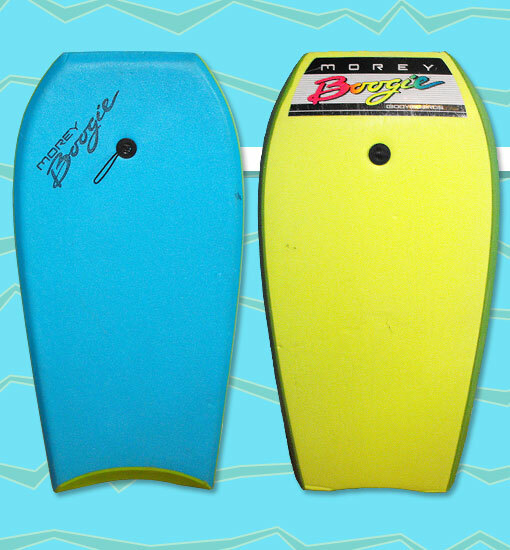 Both models featured a pre-installed leash and generic Morey Boogie logo, and they were identical in terms of template and dimensions. The main difference between the two was that the Pro/Am featured a slick skin, while the Stingray had an HDPE bottom skin. Morey's strategy was to offer the Pro/Am at the same price point as the Mach 7-7, giving them a chance to raise the price of the latter, their best-selling board.